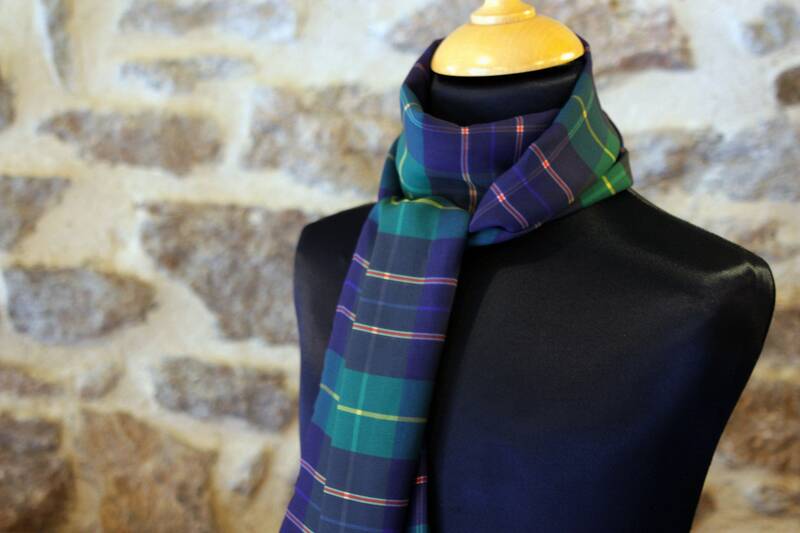 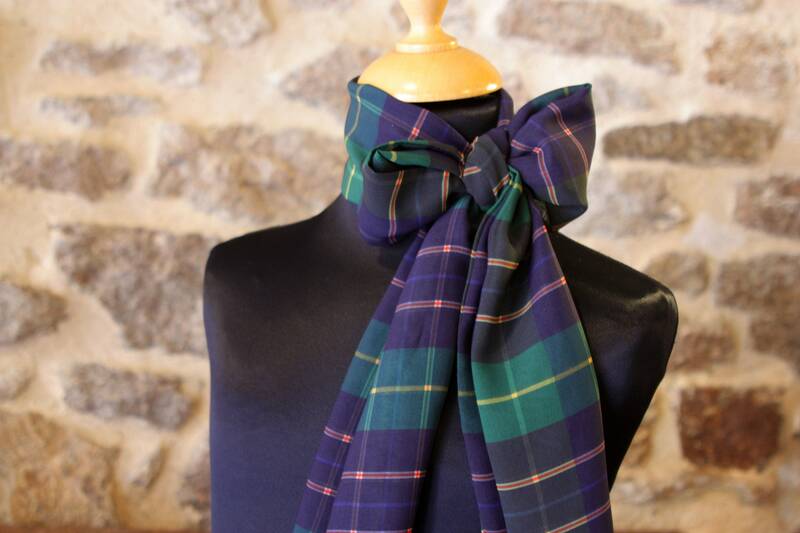 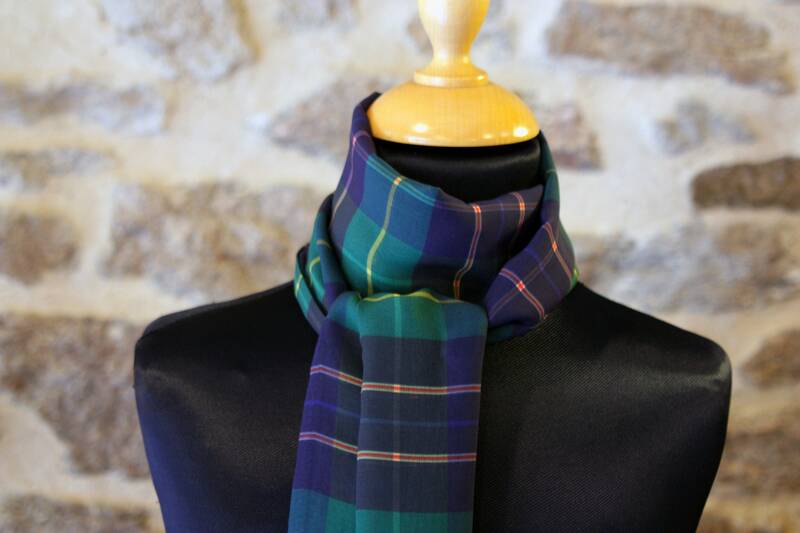 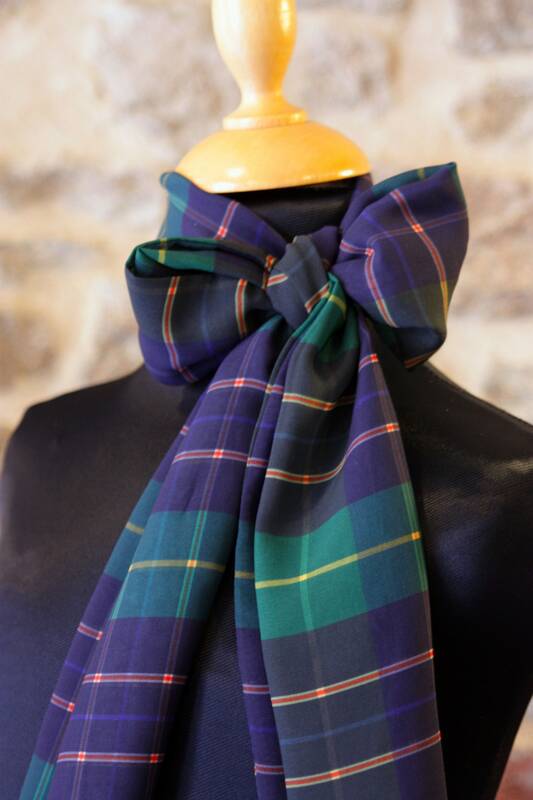 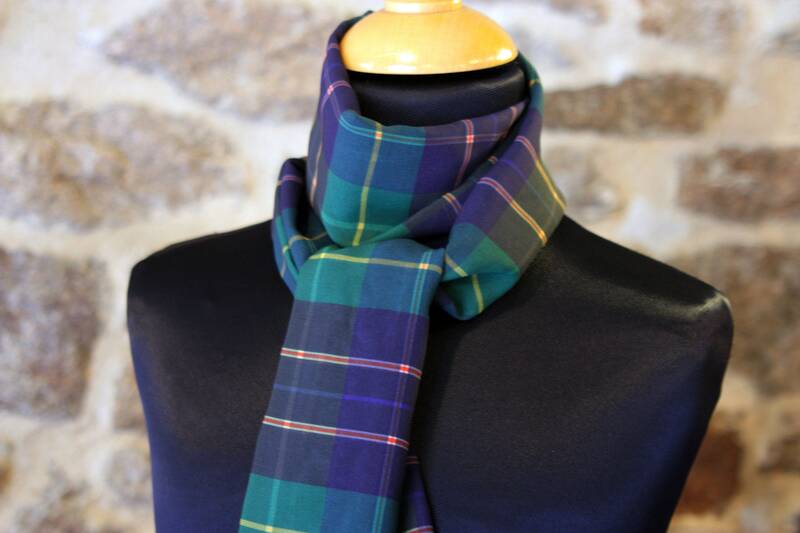 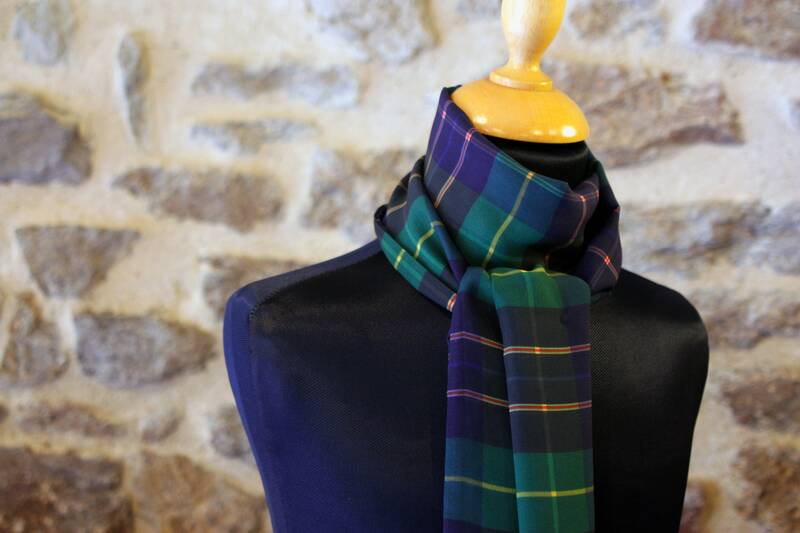 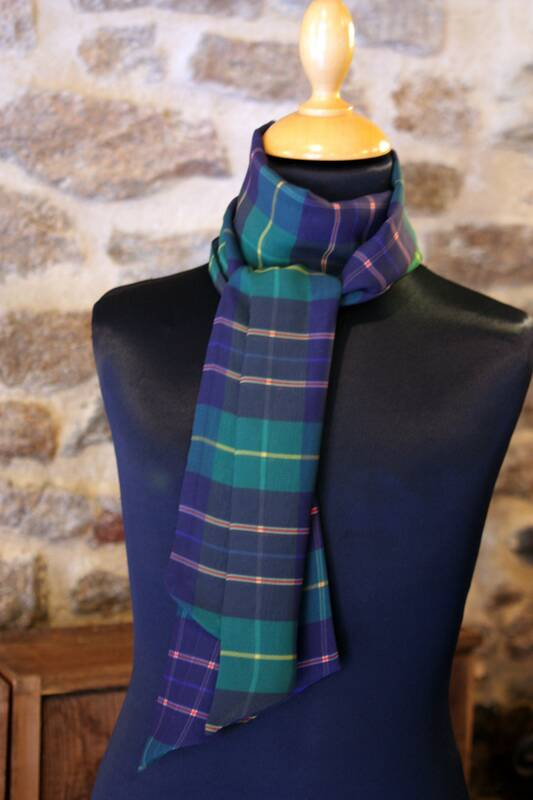 Made by us in a Viscose blue and green Tartan style Plaid chiffon. 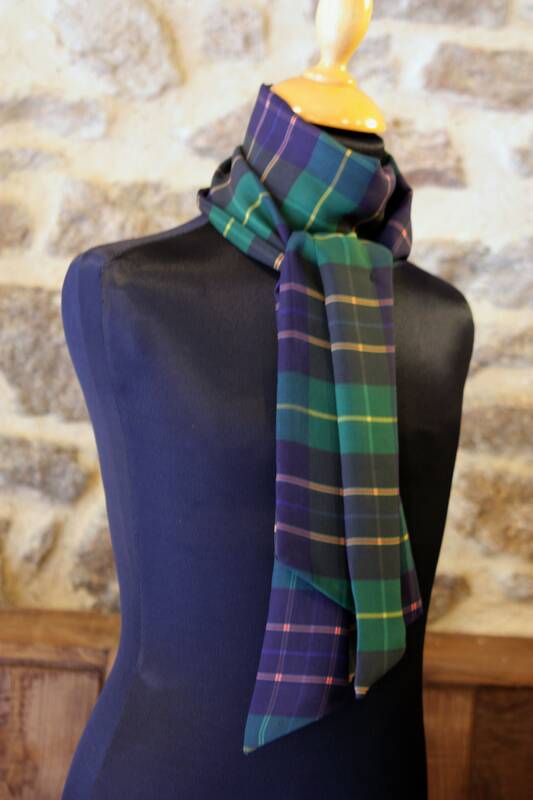 a multitude of knot style can be done with this length and width of scarf. 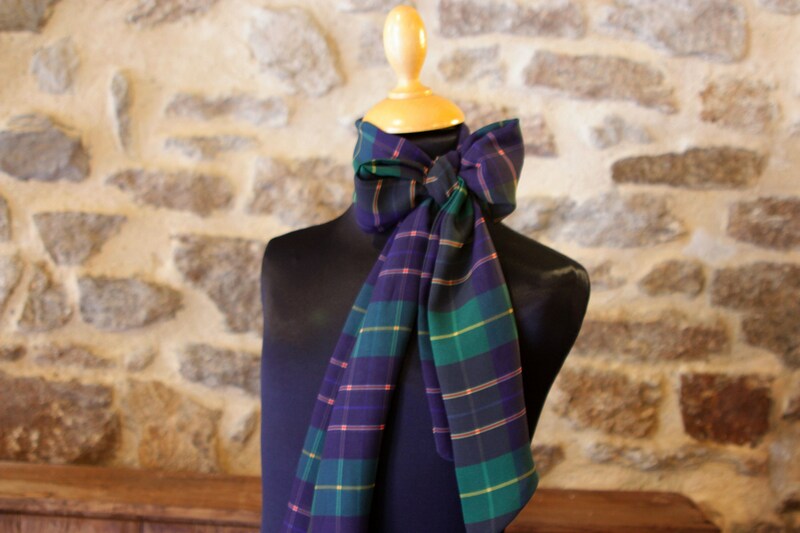 This accessory is ideal to give style to an outfit. 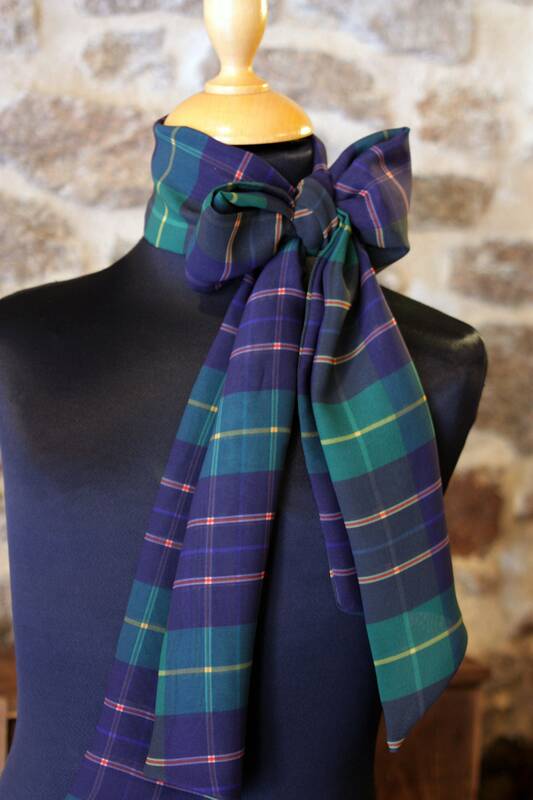 Can also be worn as a headband in hair or belt.